A .pyx file is compiled by Cython to a .c file, containing the code of a Python extension module. The .c file is compiled by a C compiler to a .so file (or .pyd on Windows) which can be import-ed directly into a Python session. Distutils or setuptools take care of this part. Although Cython can call them for you in certain cases. To understand fully the Cython + distutils/setuptools build process, one may want to read more about distributing Python modules. Write a distutils/setuptools setup.py. This is the normal and recommended way. Use Pyximport, importing Cython .pyx files as if they were .py files (using distutils to compile and build in the background). This method is easier than writing a setup.py, but is not very flexible. So you’ll need to write a setup.py if, for example, you need certain compilations options. 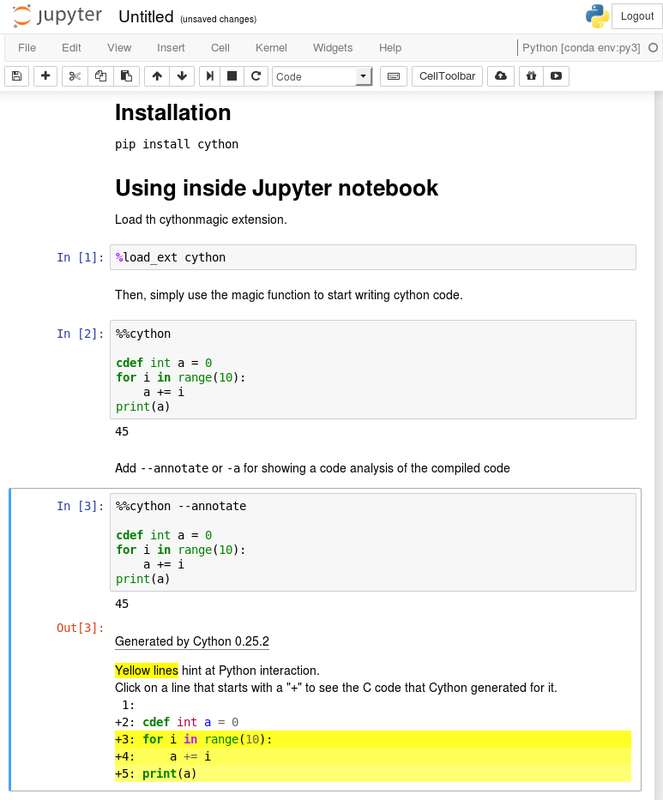 Use the [Jupyter] notebook or the [Sage] notebook, both of which allow Cython code inline. This is the easiest way to get started writing Cython code and running it. Currently, using distutils or setuptools is the most common way Cython files are built and distributed. The other methods are described in more detail in the Source Files and Compilation section of the reference manual. To build, run python setup.py build_ext --inplace. 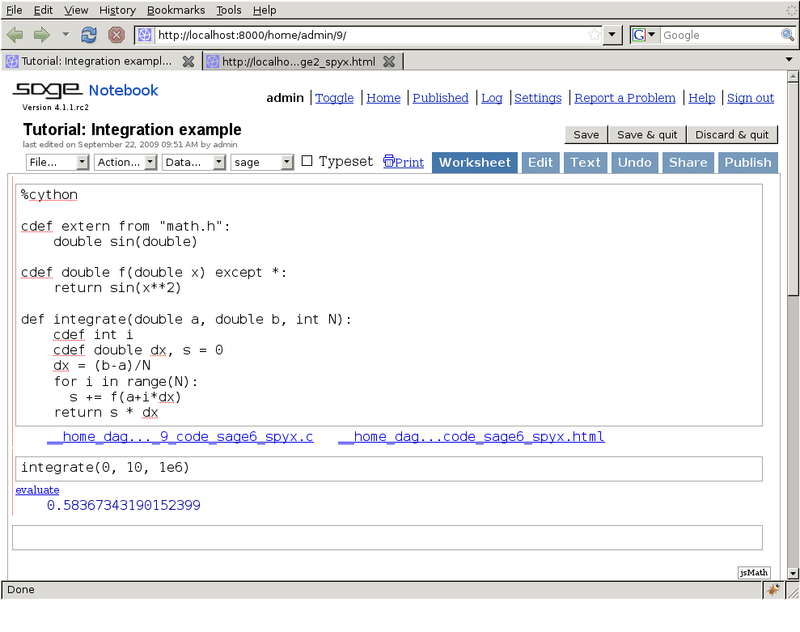 Then simply start a Python session and do from hello import say_hello_to and use the imported function as you see fit. One caveat if you use setuptools instead of distutils, the default action when running python setup.py install is to create a zipped egg file which will not work with cimport for pxd files when you try to use them from a dependent package. To prevent this, include zip_safe=False in the arguments to setup(). For more information about the arguments of the %%cython magic, see Compiling with a Jupyter Notebook. For users of the Sage math distribution, the Sage notebook allows transparently editing and compiling Cython code simply by typing %cython at the top of a cell and evaluate it. Variables and functions defined in a Cython cell imported into the running session.